When you hear ‘plant-based diet’ it most certainly rings a bell. It is rapidly gaining in popularity, and, in a nutshell, stands for natural and more conscious approach to food choices and eating patterns. Explore some obvious and hidden benefits of eating a plant-based diet and decide if it’s right for you. 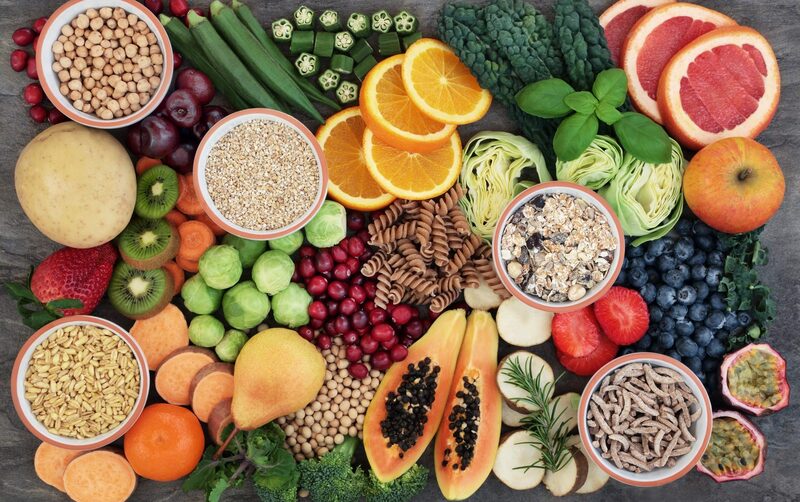 The focus of a plant-based diet falls on eating whole and organic foods that aren’t derived from animals, such as grains, lentils and legumes, seeds, nuts, tubers, vegetables and fruits. The trick here is to eat all ingredients in their pure form and not their processed counterparts. 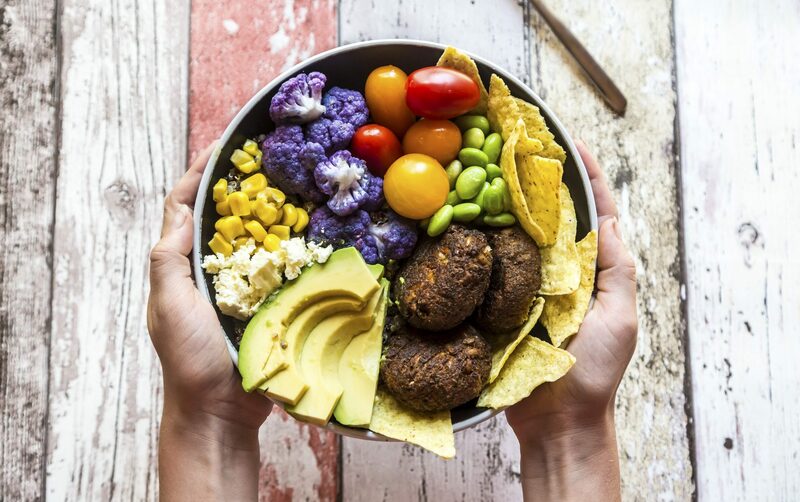 A typical plate of a plant-based eater looks like a multicolored splash of minerals, vitamins and nutrients. And the selection of plant-based recipes is as limitless as your imagination. The diet is officially supported by the Academy of Nutrition and Dietetics. It’s recognized as being healthy and suitable for all. At first glance, the two diets seem to resemble each other. They are sides of the same equation, but not similar all the way. A little confused? Let’s have a closer look. Veganism is about ditching meat, fish, eggs and dairy and is an ethical lifestyle choice. Its followers may choose to eat healthy, but just as well they may indulge in processed junk foods, like vegan shakes, chips and dips. Ethical choices don’t always have to be healthy. Plant-based diet celebrates heathy choices above all. It means no processed foods, no refined sugars, oils and floor. It’s about consuming less meat products while adding more plants to your daily meals at every opportunity. But it doesn’t necessarily mean that you have to give up on all animal products completely. It only goes to show that they swap their leading role for a supporting one. Although weight loss is not the primary goal of a plant-based diet, dismissing processed and refined products will help you lose a few pounds. Plants have the power to control and reverse various diseases, like type 2 diabetes. Cutting down on animal protein consumption also helps prevent cancer and reduce blood pressure. Better skin color, stronger hair and nails. Improved digestion and overall gut health. It is high in fiber which helps avoid constipation and indigestion. Since you substitute refined sugar with fruits and berries, you inevitably improve your blood glucose and sugar levels. That’s why your risks of diabetes-related conditions go down. Eating clean carbs, protein and antioxidants help you stay more energetic. By consuming various fruits and veggies with high vitamin C content—that stimulates collagen production—you have the power to boost metabolism and reverse aging processes. When carefully planned, this diet won’t let you miss out on a single vital element your body needs. What are other benefits of eating a plant-based diet? Environmental consciousness is among the obvious advantages of a plant-based diet. Meat industry dramatically overspends the planet’s resources. To sustain itself it needs much more water and land compared to the amounts required for crop farming. As well as a large percentage of greenhouse gas emissions comes from livestock production. By eating less products of animal origin we’re contributing to the preservation of the ecosystems. There are initiatives encouraging people to cut down on meat without having to give up on it completely. Campaigns like Meat Free Monday urge people to make Mondays meat-free days. Eating less meat on a regular basis makes a huge difference. First thing to remember: do not give up on meat products cold turkey! The transition should be smooth, meaningful and conscious. Take one step at a time by simply incorporating more and more plants into your diet. Think of it as a change of your primary focus. Also, when you eat less animal-derived products, don’t forget to substitute them with plant alternatives. Your meals still need to be well-balanced. It’s a fun fact but plant-based eaters—provided they follow a well-planned diet—get more protein than they actually need. Your best sources of protein will be beans, peas, lentils, nuts, seeds, soy, whole grains and tofu. Superfood vegetables like avocado, Brussel sprouts, corn, potatoes, spinach, broccoli are all packed with protein as well. At least 50 to 60 grams—this much protein you need per day. Eat one serving of chickpeas and there’s your 15 grams of protein already! To avoid severe iron deficiency called anemia pay special attention to your iron intake. 18 mg of iron a day is what your body needs. Make sure you always stock your kitchen cabinets with beans, lentils and legumes (it’s a money saver, too!). Your other iron sources include dried fruit, tofu, nuts and seeds, whole grains and collard greens. Replace white rice with quinoa, brown or black rice. Add more spinach to your smoothies. You require a minimum 1,000 and 1,200 mg of calcium daily, depending on your age. Make up for dairy with plant-based milk: almond, hazelnut, oat, hemp, rice and soy. High calcium content can be also found in turnips, sesame seeds and oil, tofu, collard greens, soy yogurt, soybeans, almonds, broccoli. Adding more plants to your life and ditching unhealthy foods has a major impact on your wellbeing. Make sure you don’t take a leap into the unknown, though. Do your homework and carefully study your options. Only then you can make a conscious and breezy transition into a balanced plant-based lifestyle.